The global community is a world of acronyms. We all use them, often without realizing it – until one moves to another culture. 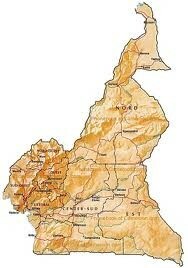 The world of missions is full of acronyms and Cameroon is certainly no different. We have been sent by the NAB and are accountable to the leadership at NABIO. But in Cameroon we are also accountable to the CBC where Calvin serves as the DCM, overseeing the CMF and collaborating ministry efforts with other CBC departments like HSD, TCED, ED, EVMD and FDD. Susie works with FDD overseeing MPAs and VPAs and regularly researches JEs and CRVs. She’s also chair of the RFIS board. We serve the CMF body made up of missionaries sent by BGC, WT, RG, GO and SIM. These colleagues minister in a variety of ministries and institutes like MBBs, MBH, SCA, BBH, HIV, CBTS, RFIS, CABTEL, etc. If you’re confused, don’t worry, after 20+ years, we still are! When Calvin does orientation with new missionaries, he hands them a sheet of close to 100 acronyms to become familiar with in order to function within Cameroon and the CBC context. Ysabelle and Elianna are not exempt from the world of acronyms. They are often refered to as MKs (missioanry kids) and TCKs (third culture kids) who live in the CMF hostel while attending RFIS. While acronyms like MK and TCK may help us understand important things about a person, they do not identify a person. Any of you who know Ysabelle and Elianna will know that they don’t like labels. Each of them is the unique identity that God is making them to be, and being TCKs is only making their identity richer. While it certainly isn’t ideal to have our girls live seven hours away at boarding school, we are so grateful for the nurturing environments of both Rain Forest International School and the hostel they live, surrounded by other TCKs.